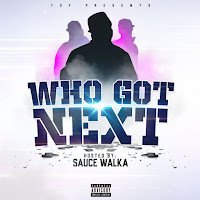 Sauce Walka dropped another unsigned artist comp mixtape. He put some of the hardest unsigned artists all in one place make sure to click the image above to download from spinrilla or listen below on Datpiff. Also make sure to give Sauce Walka a follow on Instagram also listed below.